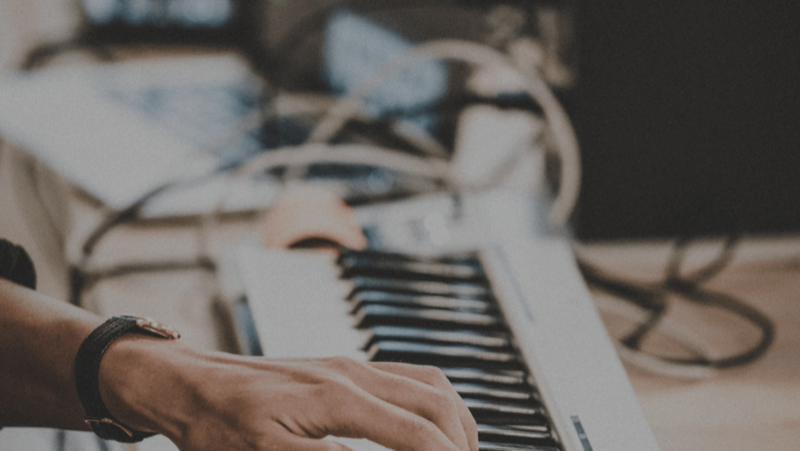 In this simple tutorial, we are going to show you how to become a music producer, including skill sets you will need to acquire as well as typical tasks that a music producer has to fulfill in his job. So you are interested in becoming a music producer. That’s great! The job of a music producer is a very interesting one, but at the same time demanding and sometimes frustrating. Let us guide you through some loops that you will need to jump through in order to become a music producer. A music producer is a person that manages the production of a musical piece (a song or an album) in a recording studio or recording environment. The role of a music producer is comparable to a director of a movie: their work is both, creative and technical. The role of musical producers has changed a lot in the history of music recording. In the beginning of the music recording industry, a person might have been the sound engineer, musical producer, artist and repertoire manager all in one. As recording processes professionalized, more and more individuals got involved in the recording process and the musical producer would become the creative head that would coordinate all individuals involved in the process to successfully manage the production process. Recording music has become easier over the last years and it therefore it has become technically easier to produce music. We see famous musicians that take over many roles at once: The sound engineer, musical producer and artist, specifically in the electronic dance music domain and similar genres. Are music producers going back to the roots? Maybe to some extent. In general however a music producer is the link between the artistic rendition, the recording itself and commercialization of the recording. This article is written for aspiring music producers that are at the beginning of their career. 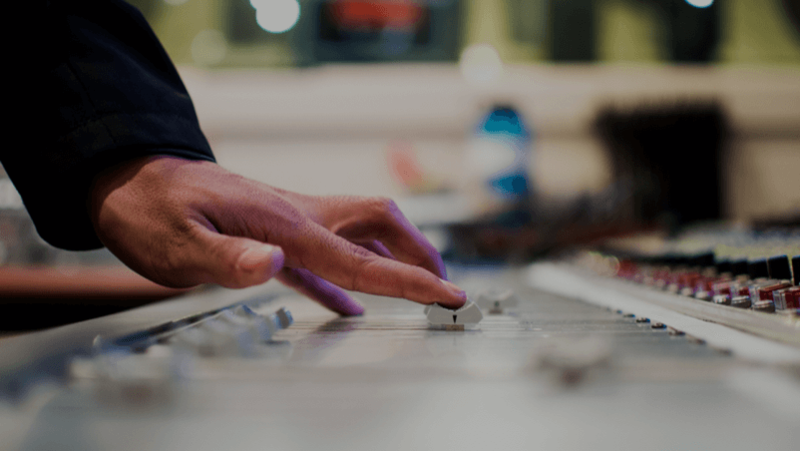 You might not have a separate recording engineer at hand (or you actually ARE the recording engineer), and you might not have a marketing director at hand that helps you sell the production. You might even be the artist him or herself. What skills does a music producer need? A music producer has to understand the technical steps involved in creating a recording. Depending on the genre we are talking of, this might include knowing about how to setup microphones, usage of recording equipment, using music production environments, mixing and engineering. If you have an audio engineer at hand this means that you need to know how the process exactly works and definitely not all details. If you don’t have an audio engineer and are planning to create the recording on your own, well, you probably will need to acquire those skills as well. A musical producer is typically involved in the creative process as well. This means getting involved in the selection of session musicians, as well as in the arrangements of the musical pieces. The musical producer makes decisions about the individual tracks in a recording. He will typically make decisions about which takes to use in the final recording, influence the outcome by choosing sounds or effects. He closely collaborates with the artists to shape the outcome of the final recording. Being a musical producer will take to communicate with many people on different levels. You will need to talk differently to an artist than you will need to talk to a recording engineer. Or the marketing manager of a label. You need to speak their individual languages which means that you need to be acquainted with their work and the technologies they are using. You might even need to communicate to the customers of your music production: the fans! Understand their needs and their expectations to successfully create a recording that will resonate with your audience and will earn you money. It is important to understand you do not need to excel in all of those skills. You will need a certain level in all of those skills in order to become a successful music producer. How can you acquire those skills? Get acquainted with a music production environment, a so-called Digital Audio Workstation (DAW). Among popular software you will find Cakewalk Sonar, Pro Tools, Ableton Live or Fruity Loops Studio, all software that is being used extensively in music production nowadays. Some of those DAWs are available as cheap beginner versions or even trial versions. Go to YouTube and search for some beginner tutorials to get a flavor of how the software is used. It is an advantage of be able to play an instrument, it will both benefit your understanding of the production environments (because they sometimes use “Virtual Instruments”) and at the same time it will help you train your ear and therefore your skill set for your creative skills. As mentioned above, being able to play an instrument will help you understand key concepts in music better and it will help you becoming a better music producer. Creativity can be trained just like any other skill, but it needs practice. Start by writing your own songs, get engaged in writing lyrics. Find pieces to remix and use the technical skills you have acquired to create something new. Music is about structure, so analyze some of your favorite tracks and try to understand how they are structured. Are there any highlights? What about the musical dynamics in those songs? Understand the means of expressions in songs and start by creating something that uses similar strategies to create an engaging song. Don’t worry if you are not happy with the results in the beginning. You will become better as you progress. A good music producer is an excellent communicator. And becoming an excellent communicator starts with being open to communicate with other people. You can train your communicate skills by starting to talk to other people: This can be online or offline. Start with your friends and your family, tell them about you being a music producer and what you are doing. Listen to their responses and translate their responses to valuable feedback that you can use for yourself to progress in what you are doing. Be always aware that you can actually learn a lot by listening to people and process the information you receive to extract relevant insights that will help you to improve. Engage with music producer communities on social media like soundcloud or reddit. You will find many people that are eager to engage with other music producers. And finally, start engaging with your audience as soon as possible. Don’t expect to only get positive feedback (that would be an illusion), but again, try to get as much helpful feedback from your audience to understand better how you can become successful with what you are doing. Start by asking yourself which skillsets above you already have today. Don’t worry if you are missing some of them, you can always acquire them and improve your skills in the future. Remember that you job is to successful create musical recordings that will be consumed by audiences. Your job is to make sure that you will make money with your musical productions! To get started focus on your very first musical production. Depending on your technical skills in music production, you can either find an audio engineer online or make the recording on your own. Do you need artists to work with? You will find many of those online in forums and networks like reddit or soundcloud. Don’t be afraid to talk to people, remember, communication is one of your main skills. Reach out the people that you need for your production and don’t be afraid to admit to other that you are lacking skills. Start your first production in a scale that is manageable for you. Do you really need to record a full album or will only one song do the trick at the beginning? Many music releases today will only include one song, simply because the album format has lost importance in the light of music streaming services. Think about how you are going to market your production. More and more the marketing and sales of music productions are managed by the producers themselves and only very popular producers and artists might be able to outsource the marketing and sales of their productions to marketing managers of labels. Focus on creating a good production and then selling it! Many modern artists have shown that it is possible to be an effective one man army: Artist, Music Producer and Marketer all in one. One man armies in music production are athing! Be aware that you will need to add one skill to your skill set, namely the marketer skill. Music never sold itself just because it existed. You might think sometimes that this is the case, but behind a successful music production stands always a sales and marketing concept that creates the audience for the sound and music. A common misconception is that your project is finished once you hold it in your hands (or nowadays, have the file on your hard disc). You are probably 50% done by then. Now you have to start making money with it, do not underestimate the work that has to go into that. Jamahook might be a way for you to earn you first money with the music production. We will help you sell your production or part of your productions (individual tracks or loops) to other music producers. It’s a free service that is targeted at independent music producers and helps you earn money with your production.